An excellent educational resource, the Assistive Technology Early Learning Starter Kit includes everything you would need to get you up and running in the early years classroom. Including wireless switch access, simple communication devices, a colour coded large key keyboard and more. 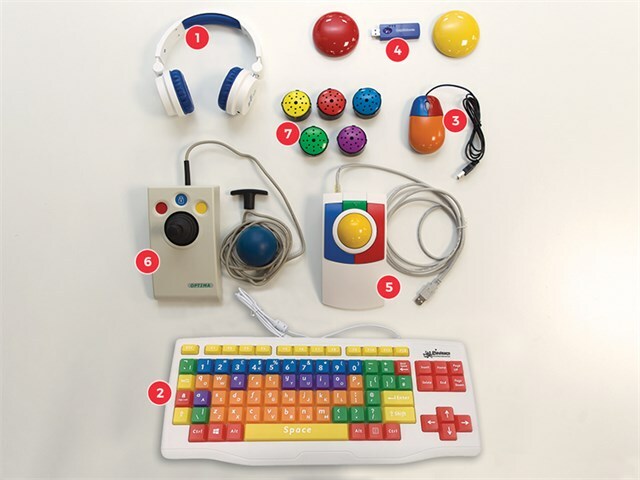 Our early learning starter kit includes a simple mouse suitable for smaller hands, "child friendly" headphones, a large chunky trackball, a standard joystick, a wireless switch pack a large key keyboard and low-tech communicators. 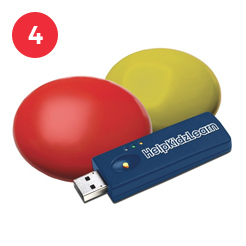 This useful kit can start off your assistive technology collection or enhance your existing equipment in an early years setting. 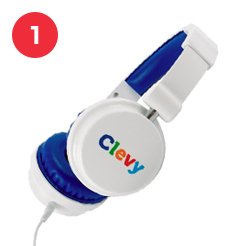 Smart and robust headphones with integrated safe volume limiter which minimise the risk of damage to user’s hearing with frequent usage. Read full product description. The SEN/Early Years Keyboard has a simple layout and offers an ideal introduction to keyboarding. 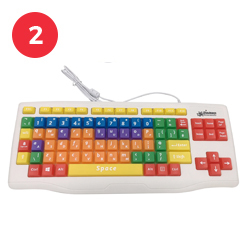 This chunky and bright keyboard has both uppercase and lowercase letters on colour coded keys. Read full product description. 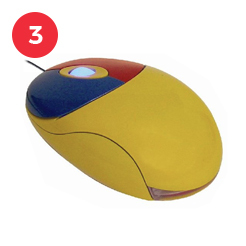 The two coloured button on this small mouse make it easier to remember the left and right click. A great introductory mouse for small hands. Read full product description. 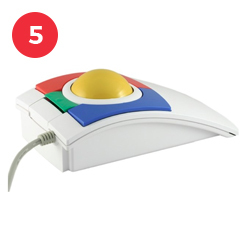 The Inclusive KidTRAC Trackball is a large sturdy and affordable, full-sized, three button trackball with a low profile which acts as a hand rest. Offers optional switch access (switches not included). Read full product description. Talking Buttons are a great low-tech communication resource. 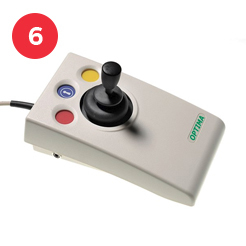 Includes a red, green, blue, yellow and purple button, each with a 10 second recording time. Read full product description.